Compulsive licking and chewing can be incredibly tough to resolve in a pet. This cat owner wrote asking for information and advice, and my daughter, trainer Mikkel Becker, and I teamed up to help. Q: My 11-year-old male cat keeps licking all the fur off his belly. I’ve tried Apoquel and Cerenia, my vet did an abdominal ultrasound and the cat is now on dexamethasone, but nothing helps. Any ideas? A: “Fur mowing,” as this behavior is sometimes called, is usually caused by an underlying health condition such as hyperthyroidism, allergies (or some other itchy skin disease) or parasites. But sometimes it is behavioral in nature. You don’t say what type of cat you have, but Siamese and related breeds are most commonly affected by compulsive disorders that manifest through excessive licking and hair loss. This condition, known as psychogenic alopecia — or more simply, overgrooming — can be a kind of compulsive disorder. The licking behavior may cause the brain to release natural painkillers called endorphins that relieve the cat’s anxiety. 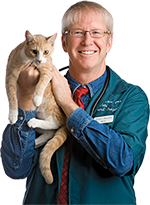 If your vet has ruled out all possible medical conditions, including neurological diseases that may cause pain, discomfort or changes in sensation, you may want to seek the advice of a veterinary behaviorist who can help you discover what’s causing your cat’s stress or anxiety. Often, it’s the addition of a new family member — a baby in the home, for instance — or conflicts with other pets. Depending on the cause, a behaviorist may suggest reintroducing pets in the household to each other and building more positive associations between them, providing a more consistent routine (or going back to the cat’s previous routine if that is what has changed), or making the cat’s environment more interesting with food puzzles, a window perch or tall climbing post with a view, or more playtime or attention. 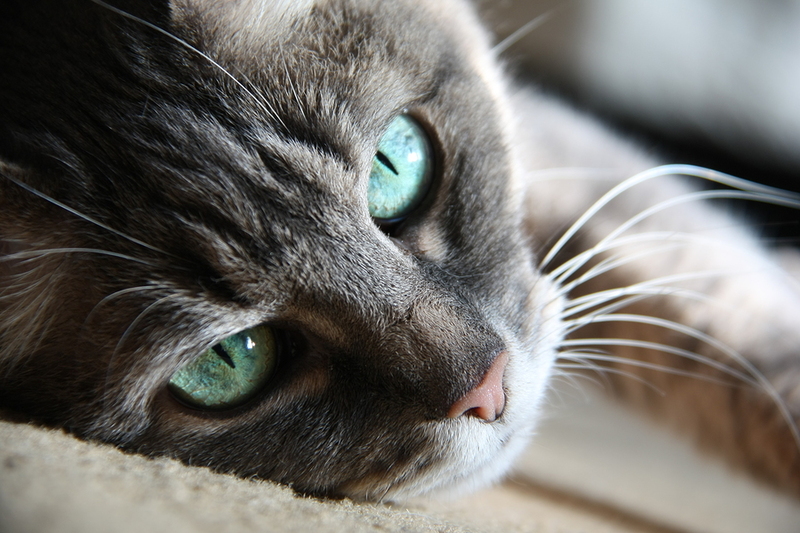 Some cats may benefit from anti-anxiety medication combined with behavior and environmental modification if the veterinary behaviorist determines that the cat’s behavior is related to fear, anxiety or stress. Read more, including news about the current canine influenza outbreak, in this week’s Pet Connection!